I have mixed feelings on winter this year. This cold. I used to be a big fan and still love winter sports and activities, but with two little boys that are spending the majority of the winter indoors I cannot wait for some warm weather and less layers. 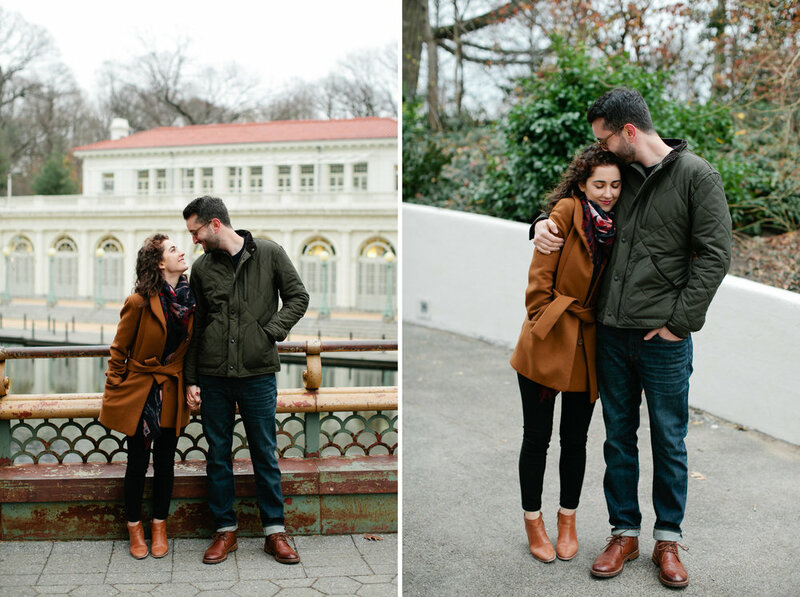 That being said, I had a more than enjoyable day getting out into the cold with Ellie + Cooper for their engagement shoot. Do they even look cold? We started in their home (always a great place for engagement shoots!) and walked through Prospect Park and ended at a cozy bar. Such troopers and they are the absolute loveliest to photograph.